UNDER CONSTRUCTION estimated May completion. 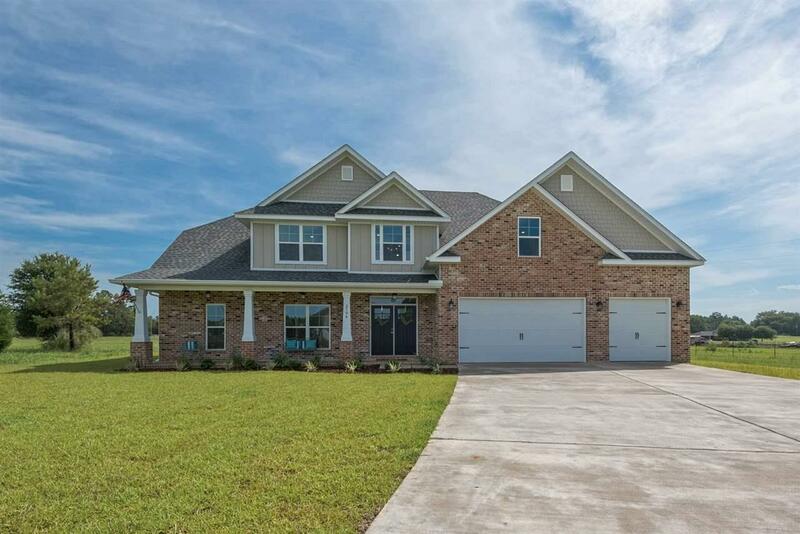 All brick Gorgeous Luxury Craftsman Style 2 story home, 4 bedrooms including two master suites, 3.5 bathrooms, and a huge bonus room. Through the double front doors, a grand entry with beautifully crafted staircase welcome you to the open common areas boasting plank tile flooring, crown molding, and recessed LED lighting. The dream kitchen has the perfect layout and features a huge island perfect for entertaining, granite counters, gorgeous cabinets, backsplash, under cabinet lighting, double wall oven, and farmhouse style sink. The master suite with spa inspired bathroom features a full tile shower with seamless glass surround, granite double vanity, and floating tub. Other features include a 3 car garage, irrigation system, fabric shield hurricane protection, TRAEXX system, security system, NEST Thermostat and so much more! See the attached included features sheet for a complete view of all the carefully selected features of this home. Photos and 3d tour are of a similar home already completed.